A “kitchen-sink” mixture of vitamins, minerals, herbs, and other ingredients, some of which are essential nutrients or have individually shown some interesting properties in test tubes and mice, but none of which shown to be safe and effective in treating or preventing any disease in dogs or cats. Vague claims are made about treating “oxidative stress” and “inflammation”, with the implication that “anti-oxidant” and “anti-inflammatory” agents must automatically be safe and beneficial. Glowing testimonials are offered to support the wild claims made, but not a single clinical study has been done to demonstrate the truth of any of them. A money-back guarantee is offered, though how this compensates for the suffering or even death of your pet caused by relying on an untested and probably useless remedy isn’t really clear. Too good to be true? You bet! The two products NuVet promotes are NuVet Plus and the NuJoint Plus. The joint supplement contains glucosamine, chondroitin, and MSM. I have written about these ingredients before (1, 2) and the bottom line is that human and animal research evidence strongly suggests there is no benefit to taking these products for people or animals with arthritis. Barring contamination with something toxic, which happens surprisingly often due to the lack of effective regulation of supplements, NuJoint is probably harmless and useless. Talk about everything but the kitchen sink! The rationales given for the inclusion of each range from vague descriptions of what the normal role of some of the nutrients is in the body to totally unsupported assertions about supposed magical clinical benefits. I will address these claims in a moment. The story behind the “discovery” of this elixir is either a perfect example of the naïve and unscientific thinking that should warn consumers they are being offered snake oil, or it is a carefully crafted marketing gimmick. It all began years ago when I was noticing certain changes in my beloved furry companion, Elvis…Even though I had always cared for him and tried to give him the best food available, it became apparent that Elvis needed something more. After several trips to our veterinarian and at a cost that I don’t even want to think about, I was left to try and find a solution on my own. All the medications and changes to his diet wasn’t making any kind of significant difference and I feared my best buddy was quickly slipping away from me. I tried all kinds of vitamin and herbal supplements because I knew there was something his body needed that he wasn’t getting but I just couldn’t find the right stuff. It occurred to me that, like my Elvis, many other dogs and cats were not taking a sufficient regimen of vitamins, minerals and antioxidants equivalent to advanced human supplements used to fight against the damaging effects of free radicals, which are a major cause of disease. I thought that the right combination, in the exact formulation, using only the highest quality of ingredients, would be required to rid pets of these damaging elements and would create a scenario for greater health and a much longer life span. Mr. Kirschbaum goes on to claim his product is needed because of “obvious” deficiencies in conventional pet diets. Because most pets lack proper nutrients such as vitamins, minerals, and antioxidants in their diet, even when they are getting the top of the line food, NuVet® scientists understood the necessity of filling this dangerous gap. Commercial pet foods can contain harmful “by-products” and useless fillers that can be toxic to pets, causing allergies and serious diseases. This kind of atypical diet creates a scenario whereby their food may actually be creating unstable oxygen molecules known as Free Radicals. The next step after this brilliant insight was to set up a crack team to develop and promote the magic supplement all dogs and cats apparently need. I decided to take matters into my own hands and established NuVet Labs®. I put together a team of highly respected scientific, medical and pet industry professionals that had the same goal as I did; to create a nutritional product that would go beyond current supplements that only gave symptomatic relief. Our objective was to make a truly effective nutritional supplement that would attack the root cause of sickness and disease, eliminating the free radicals and other sources of the problem, once and for all. This became my mission and although it took our team 8 years to perfect the formula, we finally got it right. An independent laboratory tested several dogs and cats, varying in age, size, and health conditions, under the direct supervision of a team of veterinarians. Our Advisory Team is composed of a veterinarian, a doctor of pharmacy, a pet supplement and pet food formulator, a doctor of optometry, a licensed financial advisor, a litigation insurance administrator and a senior hospital purchasing manager. Eight years of effort dedicated to solving the root causes of all disease finally vindicated by an unpublished test in “several dogs and cats.” Wow! I have added the emphasis above to highlight the pre-existing faith Mr. Kirshbaum evinces in the nature of his dog’s health problems (nutrient deficiency and free radical damage) and the solution (the “right” supplement), as well as the astounding arrogance and naïveté this narrative demonstrates. The very foundational principles behind this product are unproven and scientifically empty beliefs, not well-established principles of health and disease. And the claim being made is that the One True Cause of disease, and its solution, which has eluded all scientists everywhere in the world has now been cooked up by one visionary and his small team of mavericks Not a good start. The underlying theory that all these disparate chronic diseases for which scientific medicine does not have a definitive cause or cure are caused by oxidative damage due to poor diets is nonsense. While free radicals exist and do cause cellular damage and even disease, this little core of real science has been rebuilt into a bogeyman that bears no resemblance to the truth. Like all overly broad and simplistic ideas, the oxidative damage hypothesis has proven far less robust than initial enthusiasm for it would have suggested, and many purported anti-oxidants have turned out to provide little benefit in preventing or treating disease, and even in some cases have been shown to be actively harmful (e.g. 3, 4, 5). While many of the individual ingredients in the product are essential nutrients, there is absolutely no reason to believe that they provide any health benefits except in cases in which a pet is deficient in a specific nutrient. Providing excessive vitamins and minerals to prevent or treat diseases is seldom beneficial and, again, sometimes actively harmful (e.g. 6, 7, 8). And there is extensive evidence to show that while commercial diets are by no means perfect, they are not the deleterious pile of toxins and garbage described by those who are trying to sell supplements (e.g. 9, 10). Bluegreen Algae- There is no reliable evidence to support the health claims NuVet makes for this ingredient (12). And some species of bluegreen can be highly toxic, especially to dogs (13). Brewer’sYeatst- A source of B vitamins, but not an effective flea control product (14). Cat’s Claw- There is weak clinical evidence in humans of anti-inflammatory properties to some of the chemicals in this herb, and there are also reports of serious side-effects (15). There is no controlled research evidence to show safety or any benefits in dogs and cats. Evening Primrose Oil- There is limited evidence for benefits treating eczema in humans, and otherwise no solid evidence of benefit for any other disease (16). It may be a good source of essential fatty acids, which could theoretically have some benefits for allergic skin disease or arthritis. Obviously, the claims concerning cholesterol and atherosclerosis are irrelevant since dogs and cats do not suffer from this disease. Papain- There is limited evidence for benefits of papain in humans for shingles and sore throat, and no reliable evidence for any other benefits (17). There is no reason to believe it has value as a “digestive enzyme,” and the limited research on it as a hairball remedy in cats and rabbits has not shown any real benefit. Pine Bark Extract- There is some laboratory and animal model evidence that chemicals in this extract have anti-inflammatory and anti-oxidant activity, but actual clinical benefits have not been demonstrated in human or animal clinical trials (18). As always for any chemical with real physiologic activities, there is the potential for side-effects (19). I am not aware of any clinical trials investigating the use of this ingredient in dogs or cats. Shark Cartilage- Shark cartilage has been proven ineffective for advanced cancers of various kinds, and there is inadequate evidence to show benefit for any other condition (20, 21). The harvesting of sharks for this supplement as well as for food contributes to the decline of threatened and endangered shark species (22). And finally, as well as most important, there appears to be absolutely no published research evidence of any kind evaluating the safety or purported benefits of this product. That is not a good sign. As indicated for the specific ingredients above, harm can result from indiscriminate use of even essential nutrients. The amounts of each ingredient in the final product are not made available to the public, so it is impossible to evaluate the safety of the doses even for those ingredients for which safe and unsafe levels have been established. Due to the inadequate regulation of dietary supplements and herbal products, it is impossible to ensure the accuracy of ingredient lists or the absence of dangerous contaminants, both of which have been real problems for such products (23, 24). There is also no formal system for collecting and evaluating reports of harm from such products, so the only assurance of the safety of the product is the word of the manufacturer. This product is a hodgepodge of nutrients, herbal ingredients, and nutraceuticals thrown together with no clear logic or rationale. 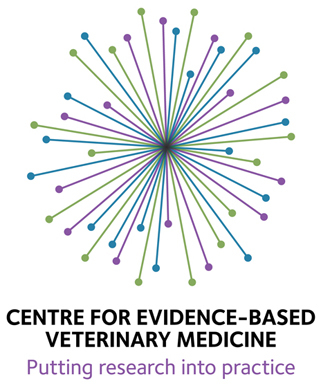 The claims that many pet diseases are due to toxins or other deficiencies in commercial diets and to oxidative damage are unsupported by any real evidence. Only a few of the specific claims for the ingredients in the mixture are backed by research evidence, and the quality of this is generally poor and only available for humans. 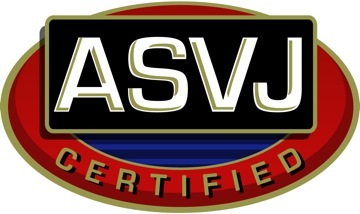 The advertising of the product contains many of the hallmarks of snake oil marketing, but it does not contain any research evidence at all concerning the safety or effectiveness of the product, because none appears to exist. While I have no reason to doubt the sincerity of the manufacturer of this product, I believe it is unethical to sell a product with no research establishing the safety or efficacy of the product for any disease and with little to no research even into the safety and efficacy of its constituents. Promoting the product with unproven or outright false claims about pet nutrition and disease designed to instill fear in pet owners and with wild and ridiculous claims about the effectiveness of the product for numerous unrelated diseases is wrong regardless of how sincerely the manufacturer believes in their own pseudoscientific theories. Any responsible manufacturer of a medical therapy should be expected to demonstrate their claims through rigorous science before profiting from the desperate need of people with sick pets. JohnBoz: Thank you for those comforting words, I miss her so much more than I thought I would. A very trusted friend gave me the same advice, to love another dog, and I have thought about saving one from a shelter. Blessings. Kristin: SkeptVet is correct to say there is no evidence a simple supplement would be the answer to shrink tumours, but absent any other treatment, there is no reason not to try. I have noticed all the anecdotal stories are about external tumours – not on the tongue though. In my situation, my dog began falling down when taken for a walk – this was the beginning of the end. I stopped walking her on concrete and stuck to grassy areas, fearing a face plant from her front legs giving out. It happened twice. About two weeks later she could not walk at all, I had to carry her outside to do her business and thats when I made the call. Even at this stage, she was still wagging her tail whenever we made eye contact. She was such a good girl. There was not a dry eye in the house the day … anyway, don’t wait. Days matter. Eventually, oblivion calls for all living things. I wish you and your pup all the strength you need at this time. I have 2 of my dogs on nu vet plus due to skin issues. They both had terrible red patches that they would scratch until raw. We were at the vet several times, always steroids, it was a temporary fix. I tried nu vet just to see, on one dog first, after the initial 30 days, it was a miracle, in the 4 years they have been taking it they haven’t had any problems at all. 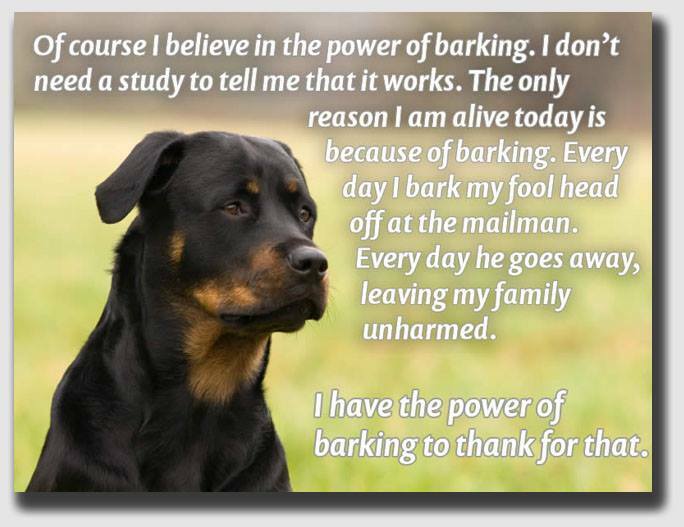 I don’t need research and tests to know it helped both of my dogs. They are 14 and 16 and doing well, the 14 year old is just starting to get arthritis I’m staying him on nu joint immediately. I know you’re at vet but you need to talk to the people who are giving this to their pets, I realize not everything works on everyone’s pet. It’s worth a try, I wouldn’t believe claims of curing cancer from any product, as no one should,, unfortunately there are no miracle cures for cancer in humans or pets and no product should say it, I do believe in vitamins and minerals for me and my dogs and I believe it has made them healthier and more comfortable. All my dogs are over 14. Just a few reminders of why testimonials like this aren’t, unfortunately, very reliable or helpful. I am so happy I stumbled across your blogs while I was on hold with NuVet to reorder the NuVet Plus and the NuJoint for my 10 yr old Golden. Needless to say I hung up before I was connected to anyone. They initially sold me two bottles of NuVet to reduce all the fatty tumors my girl has developed. When I told them after almost 2 months of giving the max dose of 4 wafers a day there was no difference so I was checking to see how to get my refund? Instead I got suckered into purchasing another 2-month supply and I was going to try the NuJoint to as she’s becoming lame lately due to age. Right now I’m feeding her Wellness Simple dry/moist for dinner mixing in Missing Link Plus & salmon oil. I was curious about your thoughts on Missing Link, do you feel this is a good supplement? Thank you so much for making so many of aware what a scam NuVet is. Sure wish you were my vet, so wise & knowledgeable! ???? Thanks, Janet, for the comment. I am glad this article was useful for you. In general, vitamin and mineral supplements haven’t been shown to be necessary or beneficial in dogs eating a balanced commercial diet. And recent studies in humans suggest some risks associated with excessive vitamin supplementation. So the best I can say about any of these products, including missing link, is that nobody really knows if they will help, hurt, or do nothing at all for your dog since no research has been done on the question. Of course, there are lots of anecdotes and testimonials, but as I try to point out here, these aren’t reliable indicators of what is true. Salmon oil is a good source of certain fatty acids which may be helpful for dogs with allergic skin disease or arthritis, but again there is no reason for most dogs to be on them. I should have done more research on this product before spending over a hundred dollars on it. I noticed after a week of giving what was suggested to me via phone conversation with them,my dog would have times of peeing in the house. This was normal for him and after research I discovered others having the same problem. I have no idea why it was happening but I stopped them and no problem since. Our other Shih Tzu after six days began showing an extreme allergic reaction to something. Terrible, uncontrolled itching, red raised welps all over his body and one large knot on his head. He was genuinely suffering. Since we live in an area very prone to fire ants, we were just sure that he must have been bitten by fire ants but,since he had only been on NuVet a short time we stopped the NuVet just in case. His treatment required heavy doses of Prednisone and Benedyl to bring the condition under control. We kept him off of NuVet for three weeks and then started him again. We gave him a half a tablet the first two days and then a whole tablet on the third day. But the fourth day the itching had started again. He also, developed what could only be described as a scary egglike knot on the back of his head! We immediately stopped the NuVet and started the Benadryl. It is our belief that his condition is a result of some sort of reaction to something in the NuVet. We have removed him from NuVet and he will not take it again. We do have a Schnauzer taking NuVet but now we are so nervous about what we have seen with our Shih Tzu that although the Schnauzer has shown no reaction to NuVet, we will not continue our use of this product. I cannot speak for whether this product is a good product for others, I can only tell you our experience. I hope this will help others to weigh out the advantages or disadvantages for their beloved pet. Reports of lead in brewers and nutritional yeast=is there any lead in NUVET brewers yeast? As usual, the problem is that there is no way to know since there is no meaningful regulatory oversight for these products. I used to work for the nuvet company. Hundreds of these bottles went out everyday. We just purchased a German Shepherd from a breeder who is pushing this stuff, he said he wouldn’t breed a dog who wasn’t on it. What kind of kick back are these pushers getting? I felt like this was some pyramid scam, having to use the dedicated order code. Has anyone ever took into consideration that Nuvet is only promoted through breeders & groomers for 20 years. Not available to the public through retail. One product only for many issues. Of course it will not work in some pets. So if it did not work I don’t think these pet professionals would promote it. You need to read the hundreds of testimonials besides this persons opinion. The major pet chain stores have approach Nuvet because they want to reatail and the owner has refused. I challenge all of you to do more research and you will see Nuvet is not snake oil as this person says and did he test it on his pets? 1. You really believe that the fact that breeders and groomers sell it means we don’t need any scientific evidence it works? That’s a really low standard of evidence. 2. Testimonials lie. Testimonials exist for every claim anyone has ever made, from medical therapies to astrology to alien abduction. If all you need to know whether or not something is true is testimonials, then everything is true. Background: Medical treatments with no direct effect (like homeopathy) or that cause harm (like bloodletting) are common across cultures and throughout history. How do such treatments spread and persist? Most medical treatments result in a range of outcomes: some people improve while others deteriorate. If the people who improve are more inclined to tell others about their experiences than the people who deteriorate, ineffective or even harmful treatments can maintain a good reputation. Objective: The intent of this study was to test the hypothesis that positive outcomes are overrepresented in online medical product reviews, to examine if this reputational distortion is large enough to bias people’s decisions, and to explore the implications of this bias for the cultural evolution of medical treatments. Methods: We compared outcomes of weight loss treatments and fertility treatments in clinical trials to outcomes reported in 1901 reviews on Amazon. Then, in a series of experiments, we evaluated people’s choice of weight loss diet after reading different reviews. Finally, a mathematical model was used to examine if this bias could result in less effective treatments having a better reputation than more effective treatments. Results: Data are consistent with the hypothesis that people with better outcomes are more inclined to write reviews. After 6 months on the diet, 93% (64/69) of online reviewers reported a weight loss of 10 kg or more while just 27% (19/71) of clinical trial participants experienced this level of weight change. A similar positive distortion was found in fertility treatment reviews. In a series of experiments, we show that people are more inclined to begin a diet with many positive reviews, than a diet with reviews that are representative of the diet’s true effect. A mathematical model of medical cultural evolution shows that the size of the positive distortion critically depends on the shape of the outcome distribution. I am not concerned about all your scientific data. I go by the results that i have seen with my pet and the 100’s of testimonials and reviews. My question to you is before you write data on Nuvet or any other company have you or anyone you know used the product? If not you have no right to discredit something you have not used. I have referred many family and friends over the years to Nuvet and some it did not help with that issue but it did improve the overall look with skin and coat issues. Many people i know with pets that have had medical issues like arthritis. Nuvet has done wonders. So again, i ask you if you have used yourself? One more thing, to all the people who are saying the breeders are getting a “kick back scam” from Nuvet. These breeders are very passionate about what they do and the love of the pets. There business is based on sole reputation for new customers but especially current customers. So why would they jeopardize a small referral fee from Nuvet when they sell the dogs and cats for hundreds to thousand of dollars. They do this year after year. The reason they write it in the contract is they have had the mother and father on Nuvet and want the pups to continue. The breeder goes over all the pet foods and health with the new owner. Most of the new owners will not follow directions and go to Petco and buy pet foods from China that have ingredients you don’t want to know. They go by whats on the packaging thinking they are buying good food. The pet will end up with skin & coat problems and health issues. The first thing they do is run to the VET. who wants to pump steroids and other things into the pet. Read what long term medications do to the internal organs, liver & kidney issues, etc.. That’s why most VETS are against supplements because it cuts into there profit. Isn’t that the same as the human doctors who write prescriptions for us like there’s no tomorrow. Of course I haven’t used it. I don’t use bloodletting, astrology, or magic either, yet I can confidently asses their value. For all the reasons explained in the links I provided and which you have ignored, this is not the right way to decide which therapies work and which don’t If it were, we wouldn’t need science and using scientific research wouldn’t have doubled our life expectancy in barely a century. Have you personally experienced everything about which you have an opinion? If I told you that ritually sacrificing a goat would cure you of cancer, would you feel the need to try it before passing judgment? There are millions of people who have used this as a treatment for disease in cultures throughout the world over centuries. Can you judge it without trying it? Oh, so breeders, who make money selling animals and also recommending this product, are morally pure and would never do something just for money. But vets, who make money providing healthcare for your animals, are purely motivated by profit and will resist any effective therapy they can’t profit from. Is this really what you expect people to believe? My dogs have been on Nuvet wafers for years and they are doing wonderful. Tumors have gone away, their immune systems are boosted and they are healthier then most dogs. My neighbors dog used to get ear infections and since on Nuvet doesn’t get ear infections and their vet was blown away by how Nuvet healed her dog. I have helped over 45 dogs and cats with every issue especially allergies and usually the dogs were healed within 3 weeks of taking the wafers. If the immune system is healthy, our bodies and our pets bodies will stay healthy. I was on an epi pen, had really bad allergies, so I started taking them, and my allergies went away. This product does work, and my dogs don’t go a day without taking one. Testimonials simply aren’t reliable. Testimonials exist for every claim anyone has ever made, from medical therapies to astrology to alien abduction. If all you need to know whether or not something is true is testimonials, then everything is true. Thank you skepvet for your true depiction of alternative treatments. As you have said testimonials are subjective and lack credibility. These predators ship millions of products, but yet only have a handful of testimonials on their site. I have fallen victim to the snake oil cures with my dog and my terminally ill parents. These people pray upon the weak and vulnerable that are desperate to help their pets or loved ones. They are slime balls and my opinion are criminals, however they have achieved to earn millions by offering no scientific evidence. While it may work for a very small percentage it is more likely a coincidence. Unfortunately there are people out there that will always monopolize upon the weak. I do agree with many of your philosophies, however I believe there can be miracles that have dumbfounded medical professionals. (which I have personally witnessed) Keep up the great work on getting the word out there it is obvious you have a love for animals. Every single person I know that has given this to their dog, swears by it. They actually see their dogs tumors shrinking! I myself am one of them! She also acts like a puppy again. My dog is a 9 year old lab and is doing amazing on this stuff. I say its better than getting them cut out every year! No side effects so far so it seems to be the best route for fatty tumors which can be really bad later. I read nothing but amazing reviews everywhere except this link called “same old snake oil”. I sure hope you are going on facts or this could destroy this companies reputation. This link pops up on google right away along with NUVET searches. So can you let us know why you say that? Is there something we should know about? Do you recommend a safer and better alternative for us with dogs with fatty tumors? I raised my dog from birth on nothing but the best food money can buy. Orijen six fish, no treats , no chemicals, no flea or tick products and still she is starting fatty lumps. One thing I did do wrong is get her spayed too early. I read a lot of new info surfacing on this and I won’t do that ever again until my dogs are 2 years old and fully developed. My new dog is a Vizsla and I had her partially spayed. ( uterus removal ) I am doing a lot of research on my own so any input is appreciated. Any suggestions for cloudy eyes and losing vision. My Miniature Pinscher named Duke recently turned 16 on Dec 26, 2015. He is currently having difficulty walking from poor eyesight. Is there anything that I may try or what the prognosis would be. He still gets around the house but a little slower and cautious now. There are many possible causes for “cloudy eyes,” so you should have him examined to identify the cause before trying any treatment. You can begin with your regular vet or go straight to a veterinary ophthalmologist if one is available in your area. Candy, lipomas, fatty tumors under the skin, are very common in many aging dogs and cats, and I am pretty sure have nothing to do with the age of spay/neuter, and are not “cured” by nutritional supplements or anything oral/systemic. They can shrink (or grow) on their own with weight loss (or gain) or just spontaneously. If you want to have them surgically removed or injected with steroids, even that isn’t a “cure” just a cosmetic temporary treatment. They’re totally benign but can cause discomfort if they appear in a sensitive area or get hung up on something, but they are not dangerous and they are very very common in all breeds and mixes of dogs and cats as part of the aging process. Nuvet isn’t “curing” lipomas. It just isn’t. Period. But what it is doing is profiting off the death of sharks. Do sharks need to die so your dog can take a supplement for its benign lumps? I started my 12 year old German Shepherd on NuVet Plus waffers just about 3 wks ago and have noticed a more spunky dog. My dog has tear stains and has arthritis in her hind legs. No cures at this point but she has shown noticeable improvement. My girl would hardly get up or bark at anything like she used to and now she’s kind of back to herself. I will wait the recommended 2 months for a complete review but as of right now there has definitely been a change in her. I used to do compounding for a living (made prescription medications and sometimes supplements). That said, any company making any supplement worth anything will always provide what is called a lot sheet. They should be able to tell you exactly how much of each ingredient is in there including what we call inactive ingredients. They should also be able to tell you exactly where each ingredient came from and give lot numbers for those products. Sadly most supplements are garbage. Meaning low quality product used and unable to verify where said ingredient came from. I also used to be a vet tech and the thought that a supplement can “cure” some of these things seem absurd to me. I would think that if this product was the cure it is claimed to be, vet’s would be using it. Before anyone says “no, because they wouldn’t make money”, let me assure you there are plenty of vets out there that don’t make a lot of money because they care more about the pets. I have worked for those vets. If a dog or cat is on a quality diet, they wouldn’t need supplements. Someone eating correctly doesn’t need them, but someone who eats McDonalds every day would. Good diet, property preventative care can do wonders. Then sometimes it’s just plain ol poor genes, it happens. Thanks for the read, I have seen this product come up and wanted to see what it was before making any decision. The breeder I was looking at DEMANDS that you keep your dog on this for at least two years or it voids your health contract. They conveniently give their order code and nuvets 800 number. I thought the same thing myself about being a racket/pyramid scheme. I don’t know what to believe I just know the 2 times I stopped giving the Plus waffers to my Lab he busted out with terrible skin issues…I don’t want to pay for these pills at all because they are pretty steep. But after I stopped the last 2 times I ended up paying more in vet bills to stop his skin issue from getting worse than I would have just buying these things. I completely understand that there may be no exact link between the cause and the effect here, I just don’t feel like testing my luck again and going through the 3-4 weeks of treating my dogs fur/skin for all the allergies/infections that he dealt with the last two times. If you are willing I will stop using it again and if he breaks out with fur issues you pay the bill let me know and I’ll give it a try…I’ll send you pictures of him … I do want to say he has a few fatty lumps and I doubt these pills stop those. Nor will they cure cancers. Also he was diagnosed (as a 2 year old pup) with sever hip dysplatia (sp?) he is 10 now and still no major issues. I do have to say I don’t go to that vet anymore because I think she way over-reacted and it was probably no worse than the average lab. I give my 9 year old (intact) 89lb catahoula/lab hound mix Blue Wilderness, grain free Dog food ($64 a bag) 1/2 of a semi hard boiled egg with shell crumbled over his dry food with Costco Organic Extra Virgin Olive oil dribbled on top. Have for years. He gets this every morning and is in beautiful perfect health. He had his first small lump on his side rib cage this summer that- of course freaked me out, but thank God it was fatty benign after tested at the Vet. He’s had all his shots as a pup and just one Rabies booster at about 5. I don’t spray chemicals or weed killers around the house. I have to give him 2 mil of Ivermectin liquid for those damn sheeters and heartworm every 45 days during warm season only. He has not tested positive. That’s it. Heathy dog, not over vaccinated and not around pest control companies. looks like he’s 5 years old. According to the author my testimony wont matter since I have positive things to say about NuVet but decided to take the time to write my personal experiences in hopes someone will care to hear what my experience has been and maybe help even one pet. I found NuVet through a sheltie forum. I had an 8 year old sheltie that had a growth on her face so I did some research and NuVet on the sheltie forum was highly recommended. So I ordered some and within 3 weeks her growth shriveled up and healed. I have since then had our furbabies on it for at least 10 years. And many friends and family dogs too. I am a firm believer from experience of using this product it does what it claims. Eyes and coat and overall health have been outstanding. Just recently my sons little Chi mix developed a small growth on his belly. The vet was concerned with it and wanted to set up removal surgery if not gone in a few weeks. I asked my son if he was giving him the NuVet I bought for him and he wasnt but started to that day. Well after a week the growth shriveled up and healed. And my son said he can tell his little Chi is feeling better too and will never take him off the NuVet again. I have heard this from so many friends and family over the years. I am personally very grateful to have found this product. I am not interested in talking anyone into using it at all, why would I? What would I have to gain? Except knowing that it could possibly help someone elses furbaby in the same way it has ours and our friends and family over the years. My biggest concern in todays world is the over vaccination of our precious pets. I encourage people to have a titer test done each year before allowing vaccinations. It’s not a question of what you have to gain, simply whether or not anecdotes represent the truth about medical therapies. There is strong reason to believe they are not reliable, no matter how strongly people feel that they mean something. As for the vaccination titer issue, I have written about that as well. Titers can sometimes indicate immunity for some diseases, but they can’t indicate the need for vaccination. And the anxiety about the dangers of vaccination that have been encouraged by many alternative vets are simply not justified. Because I study molecular biology I always like to check out the education of people behind these products. A quick search of the CEO and you can see he went to prison for trafficking marijuana yet no science degree. I’ll spend my money where else, it’s not even worth the risk. I have three dogs. One is over 15, blind and has some arthritis. I have given her some store bought supplements before with very minimal success for the price. I since have found a food suited for her older digestive sysytem and notice more improvement then any supplement ever gave her. Point being we all need vitamins and nutrients but you really can just get them all from what you eat if you eat right. My grandmother is 96 and has never taken a supplement in her life. I inherited my mothers Caviler King Charles and she was on auto ship of the wafers. I was going to redo the order in my name because I thought what the heck we use them as a once a day treat. It wasn’t until I had to put in an order code that made say wait a minute what gives. Now I realize that the breeder must have put her onto these. Then I look at the contract since I knew the puppy had a good one. 4 years 100% replacement in the event of a death. There it is. Must be given Nuvet every day. Well folks this is illegal in every state I know of. Just like Ford can’t tell you to only use Ford oil in their car or they won’t warranty it. I can tell you there is no difference in any other vitamin that you can go buy at the pet store. By the way the dog peed on the carpet or in the house about once a week. She hasn’t done that since she has been off the “extra vitamins” So in reality you might be shorting your dogs life due to the kidneys having to filter all that excess vitamin or mineral that they don’t need. I would also add that I have a Bachelor’s degree in Cellular Biology so I am not just talking out of my ear on this subject. Every pet owner should save the money on supplements and spend it on better food. I’m sorry to disagree with most in the above. My dog is diabetic and I have been giving him the vitamins now for three years. Of course I added a few more supplements like turmeric Curcumin, and fed him sardines to give him fish oil properly for his arthritis. and also a probiotic to help relieving the pain. I recommend Nuvet since there is no other out there with a proper formula. I do know some cancer dog patients being kept alive with the taking of Nuvet. All I can suggest is that you consider with an open mid the articles I have previously recommended explaining why such anecdotes can’t reliably identify effective and ineffective treatments. My dog has been on NuVet since 2005 when she was a 5 yo French bulldog, she is now a 16 year old lady and is doing awesome! How many 16 year old Frenchies do you know? I know plenty of 16 year old dogs, including my own 75# mixed breed, who have never touched the stuff. I’m glad your Frenchie is healthy, but it proves nothing. Thanks for the comment. I am glad you find the site useful. My wife and I are traveling out of state in a few days to pick up a purebred puppy from a breeder in our region. Today my wife received an email from the breeder with a PDF file attached that was clearly based on a template prepared by NuVet marketing staff. I wish there was some objective, independent, scientific evidence available to either confirm or refute the extensive claims made for NuVet Plus. The lack of such evidence isn’t proof that the product doesn’t work, but anecdotal “evidence,” no matter how heartfelt and earnest, doesn’t prove that it does work, either. What’s more, it seems odd that a premium dog food (e.g., Wellness, Royal Canin) wouldn’t be sufficient to provide all of a dog’s nutritional needs. Why spend the extra money for quality food if expensive dietary supplements are still required? I’m particularly bothered by the “too good to be sold at retail, only available if you buy through a professional” sales model. If the product were sold at retail, it would invite a much greater degree of scrutiny and open the door to genuine unbiased comparisons with other supplements that could provide authentic insight into the product’s efficacy vis-a-vis competing products on the market. If we were getting two puppies at the same time from the same litter, it would be interesting to give the supplement to only one of them for some period of time in order to see if there ended up being any tangible difference between them. Short of that, I really have no way to determine whether NuVet is the best thing since sliced bread or simply a waste of my hard earned money. I am a schnauzer breeder and I do promote Nuvet. I have seen it work with my own eyes. my kick back from Nuvet is not anything to get excited about so I don’t do it for the money I promise. I as all of you were skeptical of Nuvet. My First experience was with a 15 year old toy poodle that was gonna be boarding with me a month. Her owner pulled in my yard and told me she had thought about having Nelie put down she was in bad health and did not think she would make it a month with out her. Well I had some NuVet so I started her on it, not sure what I was treating for but I did. After 3 weeks this little dog that had no energy was starting to follow me all around the house and just seemed to feel better. I sent a bottle home with her owner and she continued her on a waffer a day. Nelie lived 2 more years. so my thought if it would do that for an old dog why not start them off as puppies, so I began to use it. My next thing that happened was with a litter of very young puppies, we had just come home from vacation so someone had been taking care of them, maybe they had not taking care of them like they should have but that we will never know. All I can tell you is later that day I had a dead puppy and 2 other puppies that could not stand up. these were small puppies so my first thought was sugar level, so I gave them some honey, there was no change. so i gave them so puppy formula, there was no change, desperatly thinking I decided to liquify a Nuvet and give them a dose. within minutes those puppies that I thought I was going to loose were standing up and wagging their Tails. that people I swear is a true story. last but not least I have a 12 year old standard poodle that all of a sudden started have problems seeing and was very wobly and disoriented. I started him on Nuvet and the results were remarkable. As long as he gets his NuVet he does great. If I run out and he is off them for a week or so he start to go down hill. I don’t what everyone else thinks but I can’t say it’s just another snake oil. I have one guy that buys 12 bottles of 90 at one time for his english bulldogs. he says as long as they are on Nuvet their skin is beautiful. If anyone is skeptical just try it, it has a 100% money back guarantee. Does Skepvet give that. I think not. I have a grooming shop and Nuvet has helped many of my customers that were at their wits end, when the vets couldn’t. Just try it you might like it. Why do you only say the positive experiences are anecdotal not the negative ones? You are exposing your bias.